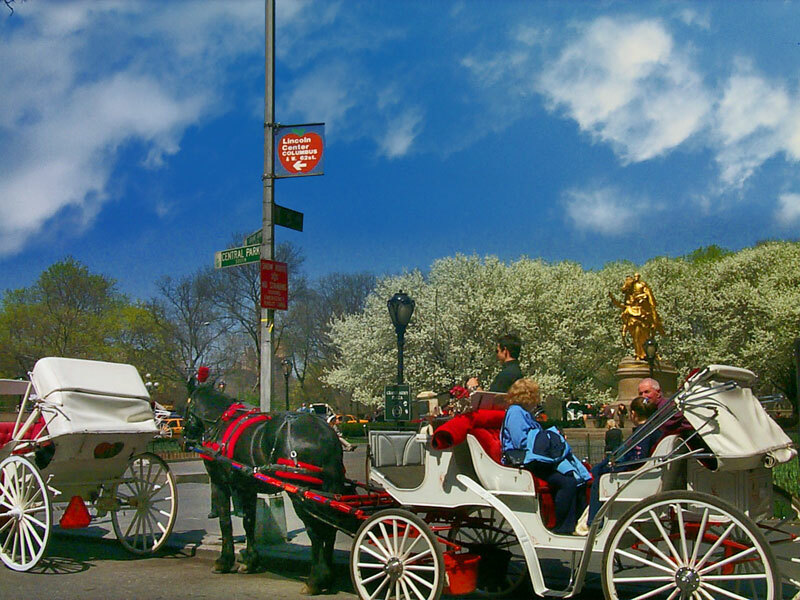 Miami In Focus Photo Gallery of the William Tecumseh Sherman Statue E59 in Central Park. 1820-1891 b. Lancaster, Ohio, • d. New York, N.Y. 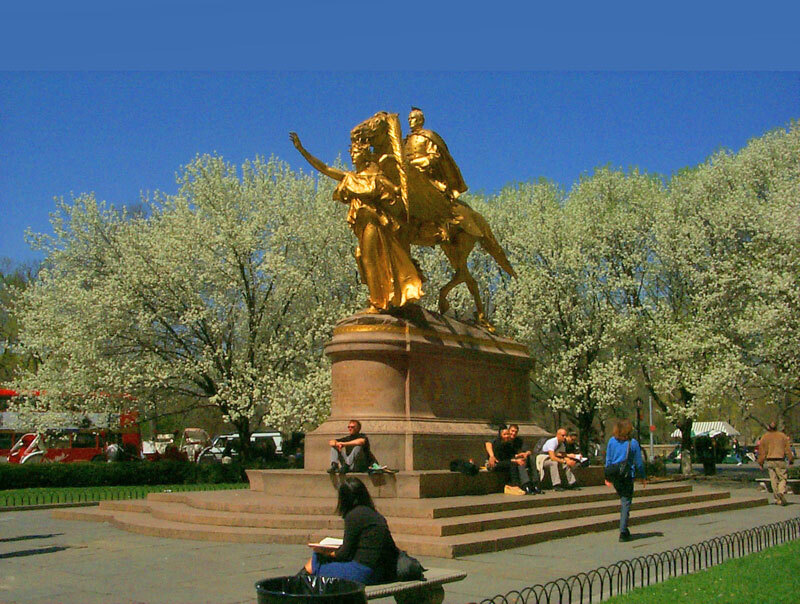 Dynamic in all its glory, no one can miss the magnificent elevated gilded bronze statue of William Tecumseh Sherman in the northern half of Central Park's Grand Army Plaza. 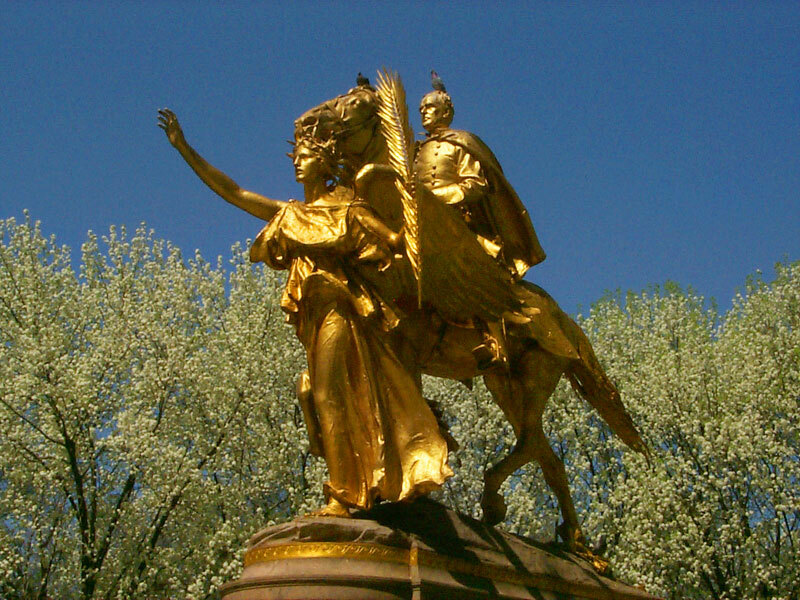 The larger-than-life statue of Union Army General William Tecumseh Sherman, a great American military hero of the American Civil War dramatically appears on his regal horse whose right rear hoof crushes a Georgia pine branch. 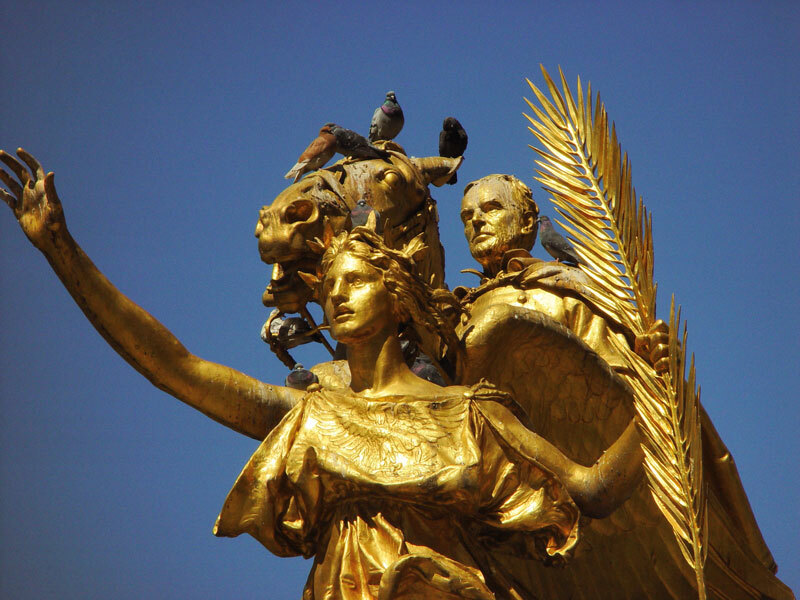 Accompanied by Nike, the Goddess of Victory, Sherman is courageously led into the battle of 1864 in which the Confederacy was successfully split in two effectively ending the Civil War. 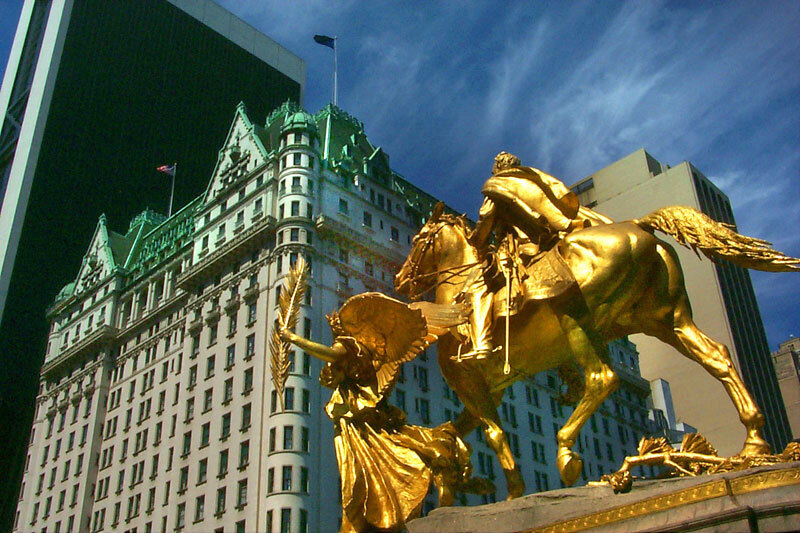 This major work of art by famous sculptor Saint-Gaudens ranks as one of the world’s finest equestrian monuments, winning the Grand Prix at the Paris Exposition in 1900.